If you're a diehard Disney fan and have found that your love life is as dormant as, say, Snow White, then look no further than MouseMingle.com, a new dating site dedicated to connecting lovers of all things Mickey Mouse and "happily ever after." MouseMingle launched on Tuesday and was created by Dave Tavres, a former Disneyland Railroad engineer and self-described "software geek," according to a report by Los Angeles Magazine. In order to perfectly match you with the beauty to your beast, the site asks users about their "Disney nerd level" -- their favorite Disney songs, shopping habits, and whether they hold a pass to their local Disney theme park, among other important criteria that you probably won't see on Tinder. But Tavres didn't just build the site for the countless Disney fans out there -- he, too, is looking for a date, presumably involving spaghetti and meatballs and, dare we say, a magic carpet ride. 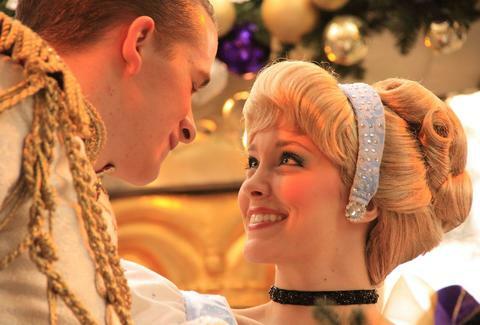 While the site isn't affiliated with The Walt Disney Company, they probably won't mind the impending Magic Kingdom-sized uptick in Disney destination weddings. Tony Merevick is Cities News Editor at Thrillist and will never go to another Disney destination wedding -- sorry. Send news tips to news@thrillist.com and follow him on Twitter @tonymerevick.